Creating an atmosphere where a growing child feels comfortable to indulge in healthy nutritional food is very vital for his/her appropriate growth, both physically and mentally. One of the most important steps towards your child’s growth and development is undeniably the food choices that are made. Creating an atmosphere where a growing child feels comfortable to indulge in healthy nutritional food is very vital for his/her appropriate growth, both physically and mentally. By creating a positive and encouraging environment, you may cultivate in your child and family the healthy habit of maintaining a positive relationship with good food and avoid picky eaters. Always avoid placing undue restrictions of certain food items on your child, as it may develop into harmful eating disorders during later stages of their lives. According to child psychologists, parents tend to force their kids to not eat junk food, which has led to increased occurrence of cases of severe eating disorders, such as anorexia and bulimia, harming them both physically and emotionally. Instead of cultivating a bad habit of banning junk food, show your children that you have faith in them by encouraging them to choose healthy snacks, like fresh vegetables and fruits, over processed and oily food items. Show them the importance of making good choices when it comes to child nutrition and let them learn from your experience and healthy eating habits, rather than from your words. Instead of dividing food for kids in two groups, good and bad, let your child choose what is best for him/her. If your child is into sports, show how incorporating certain healthy options, such as lean protein and vitamins, in the diet regularly will help them stay active and perform better. Help them by showing how a diet rich in antioxidants and proteins will help gain a better shape and make their minds sharper. When they do make healthy choices, never hesitate to give them a word or two of praise and a proud smile. Children generally have the habit of eating the first thing they see when hunger strikes. Hence, it is a clever way to ease them into a healthy lifestyle from the start by keeping fresh fruits and juices at hand and not buried in some distant corner of your refrigerator. Catching bad habits and training children while they are still very young is an important tool. 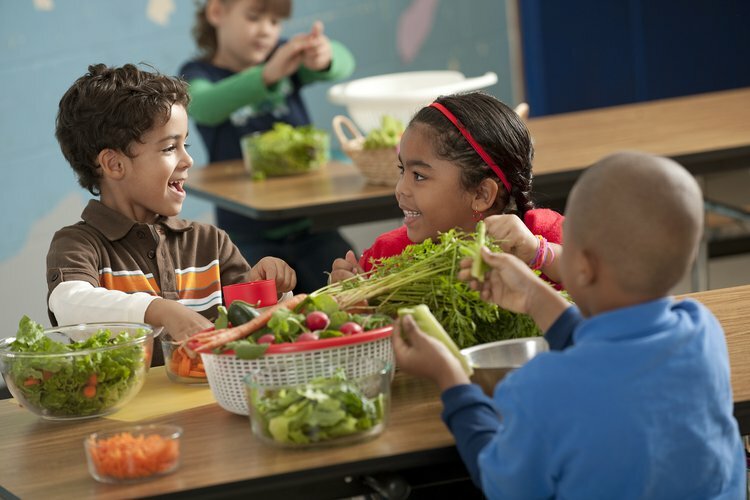 KidsHealth.org (The Nemours Foundation) states that food preferences form at an early stage of life, and babies tend to like some foods and dislike other foods. Lastly, children are a reflection of their parents and their actions. Hence, make it a point to be your child’s best example by following a healthy diet compromising of fresh fruits, vegetables, whole grains, and fish. Satter, E. (2012). How to Get Your Kid to Eat: But Not Too Much. Bull Publishing Company. Hughes, S. O., Power, T. G., Fisher, J. O., Mueller, S., & Nicklas, T. A. (2005). Revisiting a neglected construct: parenting styles in a child-feeding context. Appetite, 44(1), 83-92. Vereecken, C. A., Keukelier, E., & Maes, L. (2004). Influence of mother's educational level on food parenting practices and food habits of young children. Appetite, 43(1), 93-103.